Package libgcrypt11 is not installed. Until these third-party application are repackaged to depend on libgcrypt20 instead of libgcrypt11 or they ship with the libgcrypt11.so library so they work properly in Ubuntu 15.04 Vivid Vervet, here's a quick fix/workaround. 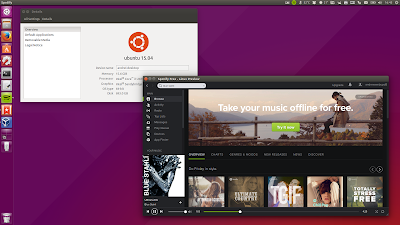 I should mention that this only affects fresh installs of the final Ubuntu 15.04 release. I installed Ubuntu 15.04 while it was still in alpha and back then, libgcrypt11 was already available (and it's still installed today) so I didn't notice the issue until it was reported by a few WebUpd8 readers (thanks to Ian Watters, Patrick and Lulzim for the comments regarding this!). Or grab libgcrypt11 debs for any architecture from HERE. Important: on 64bit, you may also need to install the 32bit package if the app that requires libgcrypt11 uses a multiarch package. Brackets note: this issue occurs with the official Brackets debs but not with the Brackets version from the WebUpd8 Brackets PPA (I fixed this issue for the PPA packages today).